Lester Riley of Elmsford, New York, by way of Wallace, North Carolina, departed this life and went to be with the Lord on May 15, 2018, at the age of 94. Lester Riley was born on December 5, 1923, in Westchester County, New York, to his parents, the late George and Blanch (Sickles) Riley. He remained a native New Yorker throughout most of his life. Lester was united in Holy Matrimony and leaves to mourn his beloved wife Joyce Thomas Riley. 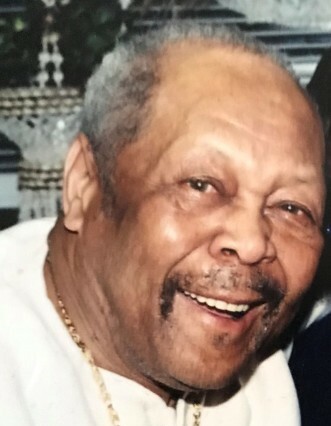 Lester, whom was known to all as “Tiny”, was impeccable and knew the true meaning of the quote “Living Life to the Fullest.” He was a hard worker who drove for a living, and never wanted to retire. He was a dedicated family man, and friend. Lester was very talented, loved to cook as well as build and create things with his hands. To know him was to love him. Lester’s home was opened to all because in his eyes everyone was Great, just as he felt of himself. His goal in life was to be happy and to make everyone around him feel special and loved. The joy of his soul exuded throughout his voice and laughter. Lester was a Loving and selfless man, a true being of light whom will be missed by everyone who crossed his path. Lester was predeceased by his Daughter: Antoinette Riley and Three Sisters: Viola Leslie, Blanch Riley and Helen Jones. Lester leaves to cherish his precious memories: WIFE: Joyce Thomas Riley DAUGHTER: Yvonne Harris STEP-CHILDREN: Shakia Smithson Washington, Reginald Thomas, Ronnie Thomas and LaShayThomas HE WAS POPPY TO: Phyllis Benjamin and Tierra O’Neal BROTHER: Henry “Duke” Riley SEVEN GRANDCHILDREN SEVEN GREAT-GRANDCHILDREN NINE GREAT-GREAT-GRANDCHILDREN HOST OF NIECES, NEPHEWS, OTHER RELATIVES AND FRIENDS.